Classic Romance 영화 Now Starring 'Twilight' Characters. With the release of "The Twilight Saga: Breaking Dawn - Part 1," it's 안전한, 안전 to say that the "Twilight" 영화 are kind of popular. 또는 at least a gazillion 팬 seem to think so.And they think Bella, Edward and Jacob are pretty swoon-worthy, too. In fa. HD Wallpaper and background images in the 해리 포터 대 트와일라잇 club tagged: twilight movie classic romance edward cullen bella swan jacob black poster. This 해리 포터 대 트와일라잇 fan art might contain 다양한, 멀티 플렉스, 기호, 포스터, 텍스트, 칠판, 사인, 서명, 거리, 도시 현장, 도시의 설정, 도시 장면, 도시 설정, 도시 거리, and 도시 장면 설정. That pictures effect are very effective. yay! edward dies on the end! and jacob! 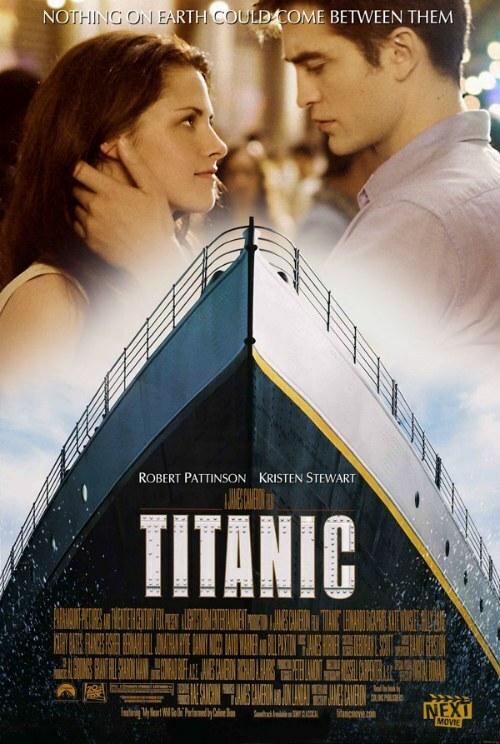 It looks good, but no-one can EVER replace Jack and Rose.